phyounger's Blog | This site is about my journey as I follow my dreams and passions. As I prepare to be a featured artist at a local festival I have finally spent some time in my studio. My biggest obstacle this week has been heat since it is not air conditioned. Our temperatures have been around 85 and humidity in the 80’s as well. When my husband and I built my studio around 15 years ago as an addition to our house with our garage I thought it wasn’t necessary. I am cold natured anyway so the added expense wasn’t worth it. However, I did heavy research in lighting. It was north facing which is ideal, having subtle sunlight all day. There were lighting systems on the market called full spectrum lighting but they were costly. I have a light on my drafting table that has a switch for yellow, incandescent or blue, florescent. Switching both on gives a close representation of natural light. So we inexpensively mimicked that by putting an equal amount of both systems in the ceiling. The incandescent lights were also installed with a dimmer switch giving me more control. So, what is the big deal about the color of light? Does it really matter how bright it is or if it is soft or hard light. Lighting greatly effects the appearance of the colors of a painting or any use of color media. Incandescent light will warm up the picture while florescent light cools colors down. If you are a realist like I am the use of just one of these can cause an inaccurate representation or prevent you from getting the desired look you want. It hit me that it is the same with how we addressing certain situations. Harsh lighting, color lighting, subtle lighting all effect how we view something. Like when we debate an issue or present our opinion on a sensitive topic. How can we expect another person to be open to hear our opinion if it is not an accurate representation or if it comes across harshly? Strong words can be like a spot light in the eyes. However, if the lighting is too dim the image, or point, can be unclear. I guess I went through all this not only educate others of the effects of light but also to make a point about discussing tricky topics. There needs to be just the right balance of the different types of light to create visual clarity. Just like we need the right amount of tact when trying to make a point. It doesn’t require you sacrifice your principles or soften your opinion. Your words just need to have a dimmer switch to fit the conversation. Writers block…erggg. normally I post early on Wednesdays and sometimes I even write my blog earlier in the week but it escaped me this week. With the end of the school year and the beginning of summer I have lost all routine. I have all the time in the world but struggle to schedule that time. I remember when I was in college and tried to budget my time. It was odd how in the fall when I played volleyball and had little time but I did so much better at getting my work done. I knew I had to get on my projects early because games, travel and practices consumed a lot of my time. I learned quickly to review my syllabi weeks in advance to prepare myself for how big assignments fit into my volleyball schedule. Second semester was an entirely different senrio for me. Compared to my first semester I seemed to be loaded in free time. Without my sense of urgency I increased my natural tendency to procrastinate. I stopped looking ahead and started filling my time with “fun stuff”. Before long I was playing catch up finishing each year worse than the beginning. Too many times my summers imitate my college second semesters. So, a week in to my summer break and my goal of spending Tuesdays and Thursdays in my studio has already failed. I did get in a Thursday but not the last Tuesday. 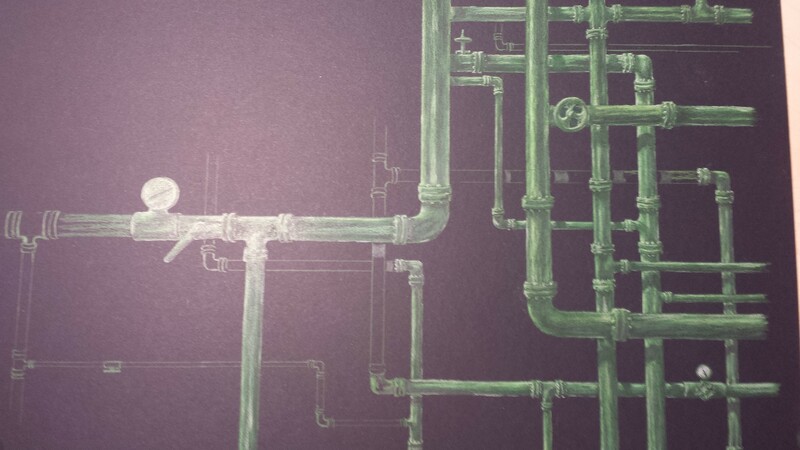 I have an art show I would like to enter next week and my pipes drawing is not half finished. Next week I am teaching at an enrichment program until noon so maybe that is my new “second semester”. I guess I need to fool myself. Head games are not my strength but I really need to look ahead and plan better. Here is my accountability attempt. Thursday I will put in 3 hours. At the end of that I will schedule my next time in regard to how far I get and where I need to be by next Friday when my drawing has to be at the competition. 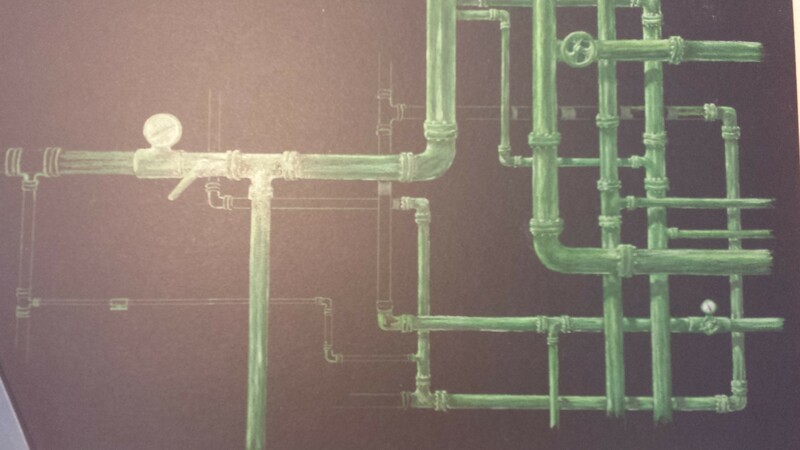 Next post I will have photos of my pipes drawing. This is now a commitment. Today is one of those mixed emotion days. I wake up to the first day of my summer break. I can’t put my finger on it but I am not bouncing around the house in celebration. This is my 26th time experiencing the end of a school year and I still struggle with the abrupt change in routine. Please don’t take this as a complaint. I would not mock those of you who do not have the gift of a long break from work. I have taught so long I don’t remember what it was like to go to “work” in June and July. I do know what it is like to work long hours in an effort to encourage and motivate students. I do know what it is like to speak to parents only to have a conversation loaded in apathy toward their child. I do know frustrated passion for lives of these youth that is at times crippling. I do know what it is like to be blamed for, well, every short coming of the national youth culture. I see a large number of students that have one goal; to graduate, nothing more. And there is a surprising amount of them that don’t think past today. They don’t plan and they don’t dream. They don’t have a life plan at all. It is a defeated community. I know most of my readers are from this very community but so am I. Our children need to see us dream. They need to see us live. They need to see our struggles and experience our successes. They need to be a part of the family and not outside looking in like some reality series. Families are too busy going and doing instead of being together and letting the whole family unit dream together. My students have no clue about their parents lives. Without a connection emotionally they can only model what they see so, in most cases, they see parents too busy too communicate. They see both parents begrudgingly going to work and they feel it is because of them that Mom or Dad has to work. That they have no stake in the family at all. They don’t know it is really because people want more stuff. They want more money. Or it is because parents didn’t dream, they, too, just wanted to graduate. They had to settle for a pay check instead of a path to a dream. I guess my mixed emotions this morning come from the thoughts of the end of a school year that was full of kids without a path. So many know no purpose. They have no direction. Kinda of like the zombie craze, they just meander through life. Sorry this blog is not very uplifting today. It is more of a plea. If you have children talk to them! Spend time with each child one on one. Even if you have to do what they like to do. Be involved not spectating. They think their role as parents ends by being there as they sit in the stands or as part of the crowd. I see a culture that likes to go places but in large groups not just as a family unit. How do we battle this cultural apathy? One parent and one kid at a time. Talk to others about dreaming and help them plan a path to living their dreams. Set goals with them and be a part of those goals. And don’t stop dreaming yourself. Each week is not to be lived just to get through it. I am guilty of a lot of those weeks myself and find that is when my family was the most disconnected. If you don’t have children or you have an empty nest be an example to the kids around you. Remember when grandparents talked about “the good ole days”? All it takes is some conversation and a little of your time. It is now time for me to get on my dreams. 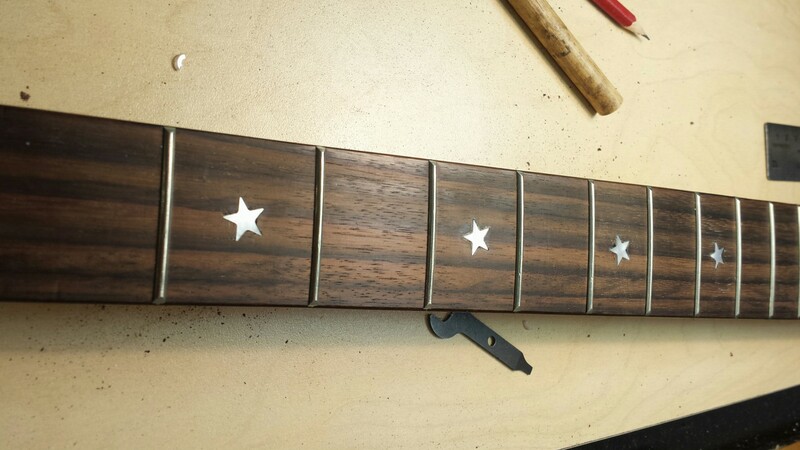 The pipe drawing and bass guitar have not been touched in weeks. I want my own children to see me as a person who dreams but seeks to follow those by making plans and setting goals. I need them to see an example of how to recover when your dreams take a set back or your goals are compromised like when my goal to run a triathlon in April was change due to the illness and death of my Dad. I am now entering the Hokie Half Marathon in September. I need them to see an example of how to live instead of how to just earn a pay check. And I need them to see that even now I continue to live. Maybe if you share completely yourself with your kids it will encourage you to dream as well. Ahhh, to dream the impossible dream. If it is impossible then wouldn’t it be a fantasy? Are dreams and goals the same thing? How are successes measured? I know a lot of this is just splitting hairs but something to consider. I recently watched “Percy Jackson, The Lightning Thief”. When Percy and his companions ventured into the Underworld, Hades told them it was the land of lost hopes and dreams that never come true. Dante could have made that a level of Hell. To live an entire life without attaining your hopes and dreams would be a form of Hell. I know all dreams are not achieved but I do feel we all have to believe we can live them. Otherwise, wouldn’t they be fantasies? I have the dream thing down pat. just ask snt of my previous teachers. I was the kid staring out the window with a glazed over expression. My mind clearly somewhere else. I am also decent at setting goals even though I tend to set them too high or too many at one time. The one that I always struggled with was the word success. It was always such a bad word because I could never get a handle on its definition. Success is defined on google as, “the accomplishment of an aim or purpose”. It is also defined as, “the attainment on popularity or profit”. I had a distorted view of the word success. When I left home to attend college I was going to make something of myself. I had escaped. I was going to get that degree and didn’t need anyone or anything. It was my ticket to a big pay check, a classy job and proof of my success. As I blogged about in “I Believe In Me”. I worked hard to make others proud so when I did graduate it was actually a little of a let down. No big fanfare, no one was bowing and no job offers. I went to a few interviews with no luck. I was forced to take a minimum wage job working night shift in a convenience store. It was difficult. I barely made rent and had no money left over. My bedroom consisted of a 4″ foam mattress, a lamp and a cardboard nightstand. This was not my idea of success. I couldn’t tell my family that I was barely eating. I was embarrassed that I had left home to make something of myself and here I was with my big degree making less money than everyone else. Things continued to get worse. I wrecked my car and lost my apartment. I became even more stubborn, refusing to go home as, what I saw, a failure. Next, I moved into a relatives house and worked as a waitress at a pizza place. Most of my belongings packed in boxes in my car. Another month went by and I had given up on a career. I was done. The phone call I dreaded. I called my Dad. “Can I come home?” I was tired, lonely and defeated. He was surprised that I even asked and quickly answered, “yes, of course you can.” I tell you this whole story to illustrate this point. All my mental suffering was at my own hands. Not because I fought for months to keep my independence. It was not because of my failure to begin my career. It was not because anyone else was disappointed in me. It was all because of my distorted view of success. I thought it was a big pay check. I thought it was a flashy job. I thought it was a powerful position. Turns out success is none of these. Success is found in your character, in your work ethic, in your legacy. It all cannot be summed up in a career. It is what you are defined by as a person. Tis the season of sunburns, allergies and poison ivy. I love the great outdoors and I love hard labor. I would trade it any day for my couch and TV even with the pain I endure as I over work my muscles and expose myself to the allergen plagues. Just something about being with nature that makes it all worth it. However, I recently questioned it when I had a terrible bout of poison ivy. One week, a shot and a topical prescription, I seem to be improving. Oh, I often wonder what purpose such a plant can have so I google it. 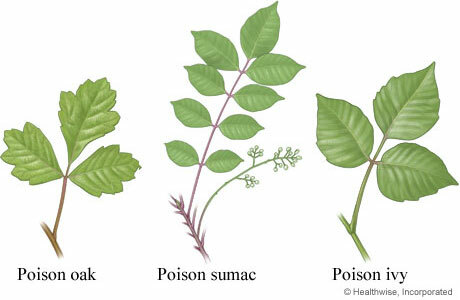 Poison ivy and poison oak are major food sources. They are food sources for more than 60 species of bird on the east coast alone as well as deer. Cotton tails also enjoy munching on the juicy stems that are poisonous to other animals and people. Some moths use it to conceal their larvae. Not to mention it is actually a beautiful plant that is very hardy helping to prevent erosion. Since I think like everything was created for mankind I still question the existence of this “thorn in my side”. I mean, other plants serve the same purpose, right? Why do we need this particular plant. Well, it isn’t always about the mighty me. And beside if I had spent time learning as much about its counterpart, the Jewelweed, all could have been avoided. God has provided a compliment to the poison ivy/oak/sumac. I failed to remember a popular survival show I watched and failed to think about the “leaflets of three leave it be”. Nature has provided the cure, jewelweed. It grows usually in the same location as poison ivy/oak. It is also nature’s antidote for other of life’s itchy’s. It is a little harder to identify without its orange trumpet shaped spotted blooms. But it is well worth learning how to identify it as it’s juice will counteract the effects of poison ivy. It will also cure or lessen reactions to mosquito bites, bee stings, athletes foot, ringworm, nettle stings and a variety of other skin irritations. Genesis 9:3 “Every moving thing that lives shall be food for you. And as I gave you the green plants, I give you everything.” Look around you and choose to learn what God provides. Not just about the bad because “everything” is a lot good stuff.